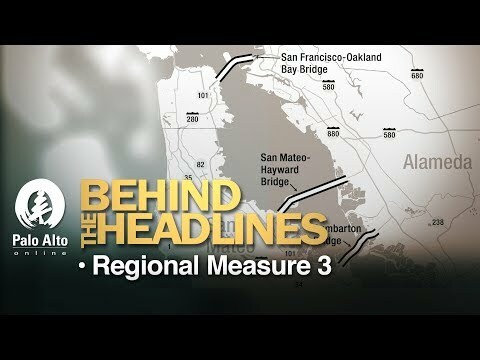 Weekly journalists discuss Regional Measure 3, a measure on the June 5 ballot that would raise bridge tolls to fund $4.5 billion in transportation improvements. No. The bridges are already MORE than self-sustaining. Where does all of that money go? It is ridiculous to raise tolls by 60% for bridges that are already paid for. It is time to start catching the cars with no front license plate. They get through without paying and the rest of us are subsidizing them. @Nayeli - according to the ballot text, the extra money is being used to maintain the highways around the bridges, not just the bridges themselves. Gas taxes are far from sufficient. The real question is should tolls pay for this work or should the money come from the general fund. Raising gas taxes seems to be off the table. I'm an economics professor. I like the idea that people who use roads pay for them. Collecting extra tolls at a bridge is a good way to get funds to pay not only for the bridge but for the roads and infrastructure near the bridge. The catch is that, as we say, funds are fungible. Once the funds are collected, what mechanism forces their use for the advertised purpose? I've not investigated how tight is the fence around the funds forcing them into their advertised use, but if you're skeptical of that step, then OK by me to fight the measure. But if the funds can be channeled to the advertised purpose, then this is about as good a way to raise funds as you'll ever see. @ resident - The gas taxes are too high too. As Oenoman advised, it would help if such taxes and tolls were earmarked ONLY to be spent on roads or bridges. These taxes should not be spent on pet projects that have little to do with roads, bridges or other transportation infrastructure. California doesn't have a "revenue" (aka fleece taxpayers) problem. The state has a spending and accountability problem. Measure R would have an undue burden on those who live across the bay because they cannot afford to live on the Peninsula. I think the burden of caring for roads should equally be shared since we all benefit: trucks bring us products, we drive on the roads and bridges...everyone benefits from good transportation. Therefore I agree with a firmer comment that there should be some oversight of any money collected for any road improvement. Assessing $100-200 per household per year to maintain roads or alleviate traffic is a reasonable price to pay. Not forever. Maybe for three years. And the large tech firms with the buses carting people around the bay should be assessed some amount per passenger. Other businesses should be assessed like homes. With reduced rates for elderly or disabled.